Ever see something cool along your commute, but you don’t stop to take the photo? I bet it happens to thousands of people every day. It almost happened to me today. 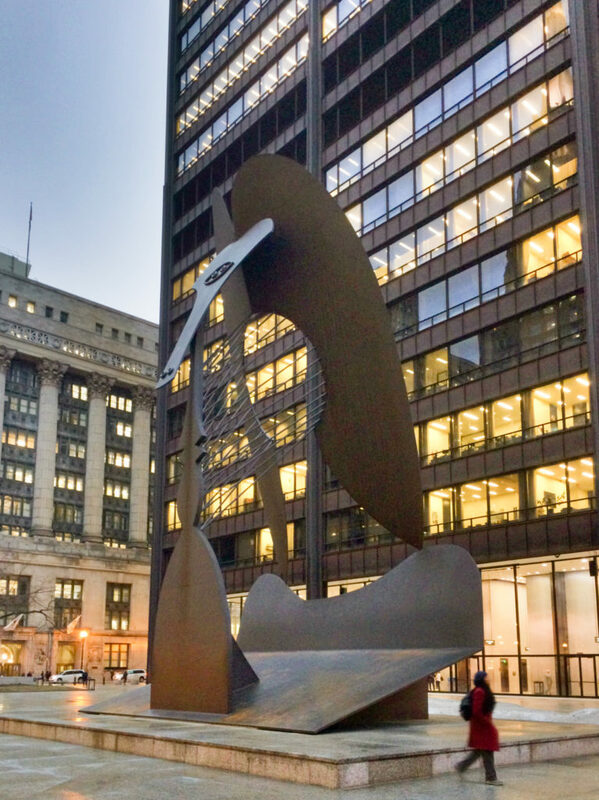 Along my commute, I pass by the giant Picasso public sculpture in downtown Chicago. Backside of Chicago Picasso sculpture. This sculpture is such an icon in Chicago, I love being able to walk by it every day. Instead of walking BY it, I walk right up next to it. I step up on the two-foot-tall platform. People often walk around the platform that surrounds the sculpture. I like to get right up next to the sculpture, so I can run my hand along the angled base. Today was one of those days where I noticed something neat along my commute. 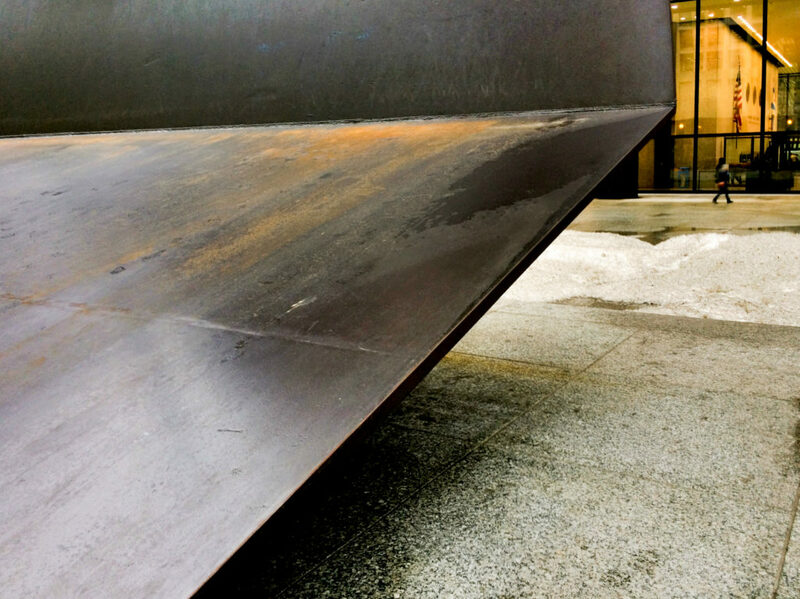 The angled base of the sculpture was all rusted from the salt used on the snow. It looked pretty cool. 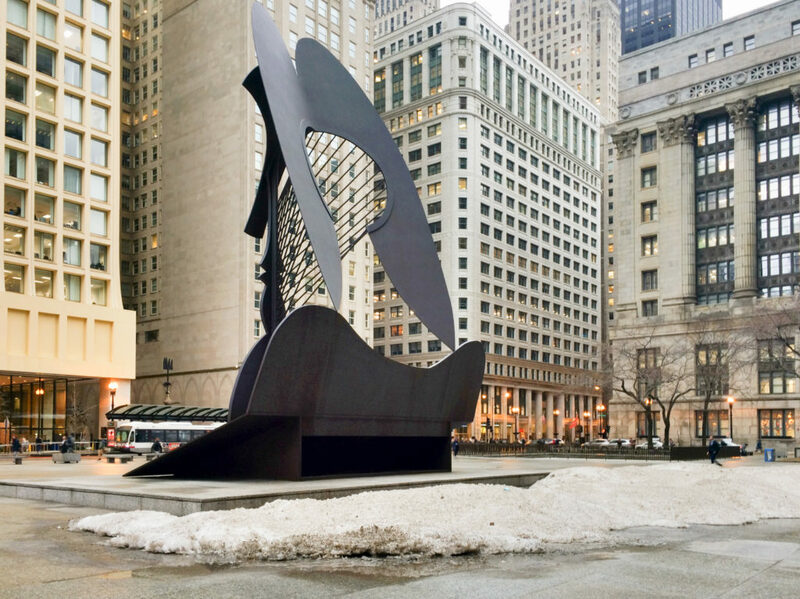 The Chicago Picasso after a snowmelt is like a new work of art. Once I walked by, I couldn’t get that cool texture out of my head, I turned around to take a few quick snapshots. Using the ProHDR app on my iPhone, I was pleased with how the contrast of the oranges and blues came out. The marks were also fascinating. Dancing footprints mixed in with swipes of the hand. It’s like a dance party on this work of art. It’s almost always worth the time to take an extra minute to pause, and appreciate the aesthetics around you. An online gallery inquired about this photo on Instagram, asking if I created this art. Amusing. 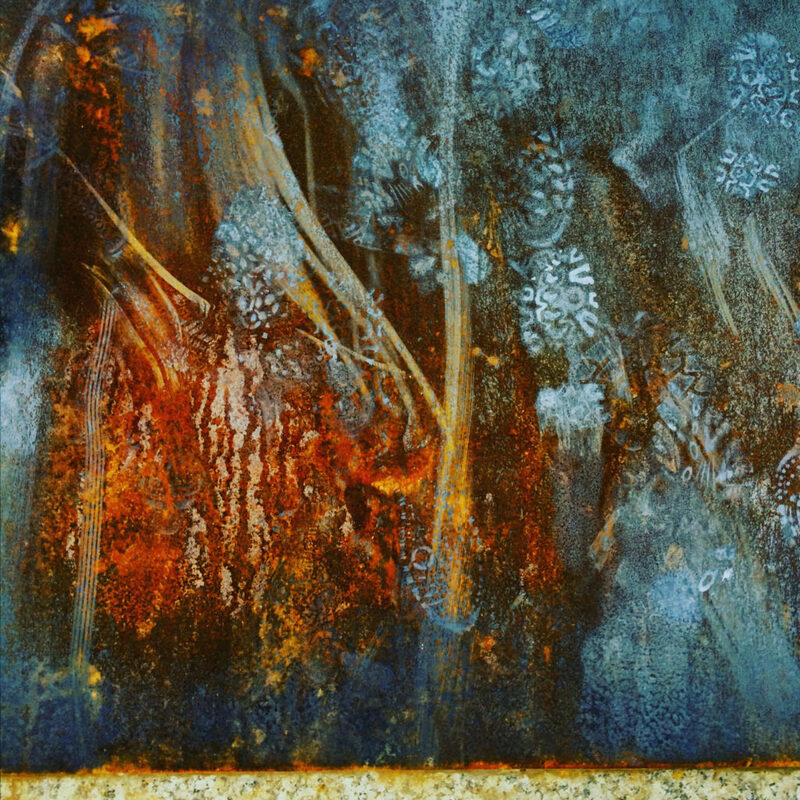 Makes me want to go back with my Nikon D610 and shoot some more of this—if the rust is still there.